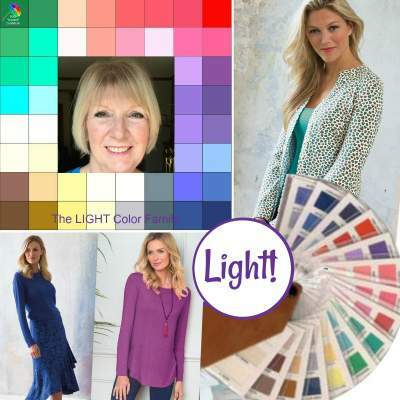 When you echo these colors in the clothes you wear, you create COLOR BALANCE. you'll LOOK healthier and FEEL more like YOU! You'd like to look and feel more confident.. But hesitate to try something new..
Or panic when a special occasion comes along? Want to save TIME MONEY and LOOK GOOD? You need to find your COLOR FAMILY! and receive a whole palette of colors that bring You to LIFE! plus a guarantee of satisfaction! for information that lasts a lifetime! When you echo your natural coloring in the colors you wear you create COLOR BALANCE and the result is a more attractive YOU! I will analyze your natural coloring carefully taking into account your genetic background. 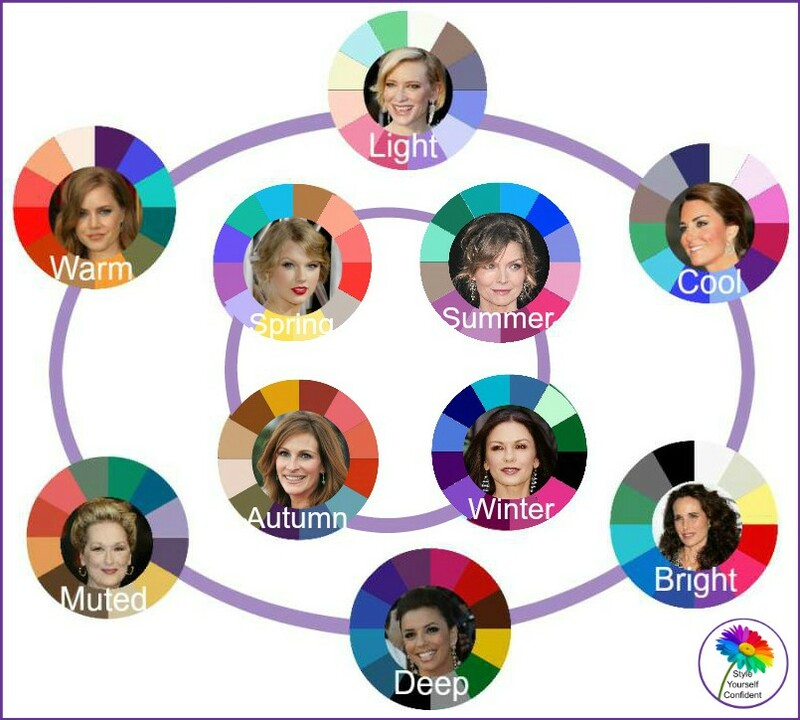 You will have a TONAL or SEASONAL Color Family depending on your genetic makeup and a 100% guarantee of satisfaction. Probably less than the price of a dress to ensure NO MORE MISTAKES! 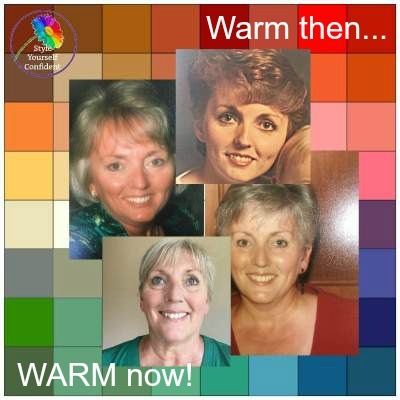 I create step by step images to explain my findings so you can see how it works! A digital Color Swatch - always available for shopping or wardrobe co-ordination. 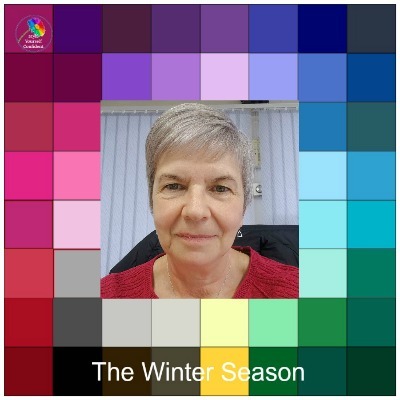 The Tonal swatch has 45 colors, Seasonal has 30 or 33 colors. Can it really work Online? 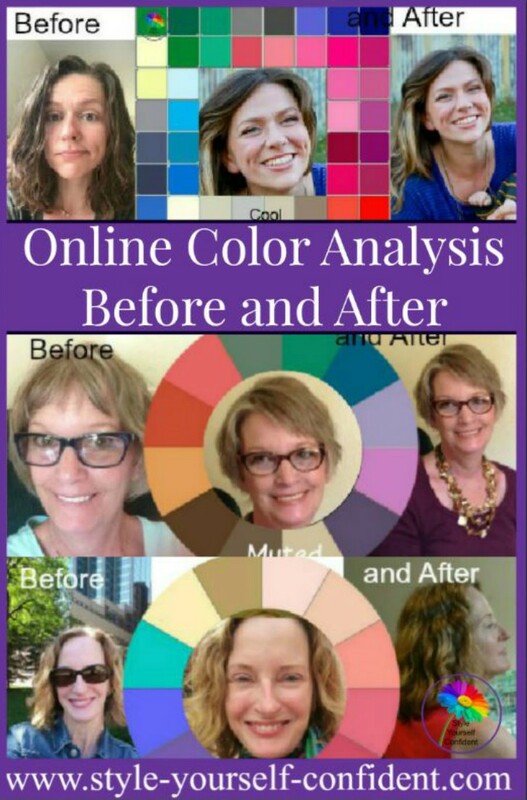 I have many years experience in Color Analysis, face-to-face and Online. You'll receive my complete personal attention and yes, it certainly works extremely well online as testimonials from satisfied customers illustrate. This is entirely different from many of the services you will find online. My questionnaire, although concise and easy to complete, does ask for more information than you might expect and because it may be difficult to explain your natural coloring to me I've made it user friendly. My analysis is based as much on your answers of background and ethnicity as it is on photographs. Nothing is assumed and I work closely with you to ensure that you completely understand why and how colors work for you. I spend an extraordinary amount of time on each client's analysis and take great pride in customer satisfaction.